Be safe. Know what you're doing! Certified Forklift Training Center takes pride in the fact that our programs are designed to promote participation by the operator trainees. This is basic forklift 101! This class is for a 3 year certification. 1-day & 2-day courses are available. Includes all literature, written tests & driving tests. After you pass written examination, you will be trained on pre-operational inspection, basic operation of the forklift, forward and reverse driving, and obstacle course. 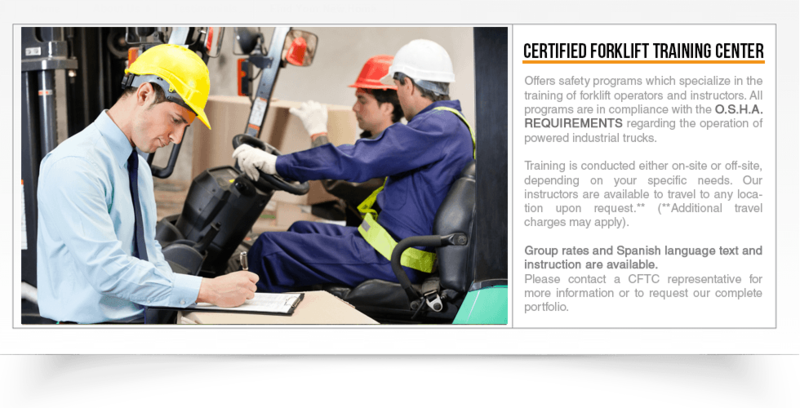 Certified Forklift Training Center's re-certification program is designed for the experienced forklift operator. Previous certification required. 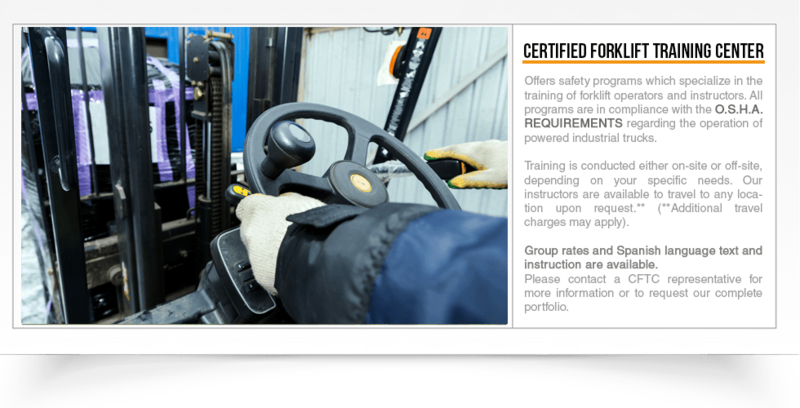 The course specifically addresses the areas of forklift operation which O.S.H.A. now requires under its current mandate (C.F.R. Title 29, 1910.178). This class is for a 3 year certification. The Instructor Development Program is designed for the in-house trainer. 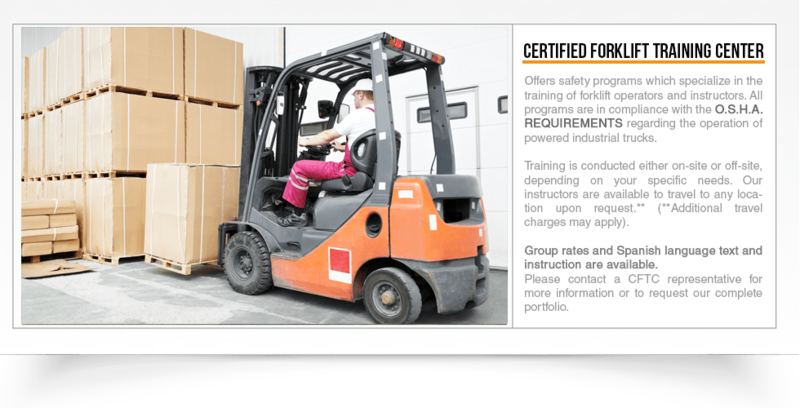 The course covers forklift training and also includes a complete Powered Pallet Jack program. (**Additional travel charges may apply). Group rates and Spanish language text and instruction are available.